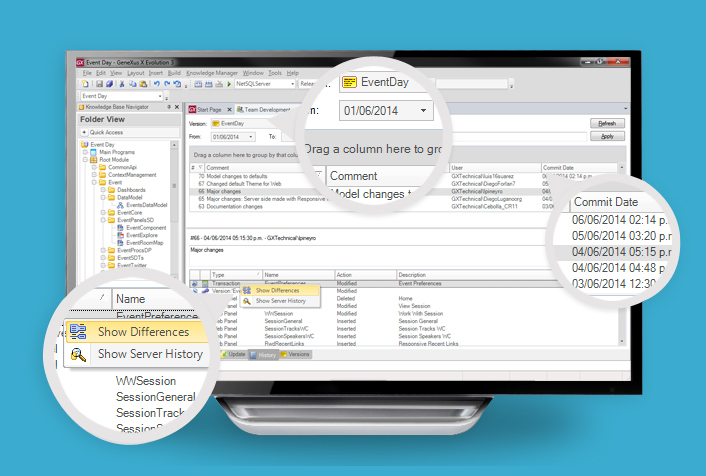 With GeneXus™ 15 we’re making a huge leap into an even better way to create applications. True to our core beliefs, we are presenting our most complete solution, that will allow anybody to create better applications in the fastest, simplest way possible, without knowing about any specific programming language or technology. Create and run apps in the most efficient way: automatically! Develop secure corporate applications for the leading platforms, migrate from legacy systems and create new functionalities around your current business systems, all with GeneXus™. Speed up your software development with GeneXus™ Server. with the whole solution on the server. Team work is a lot easier, and integrating the project is automatic, and it all comes down to sending and receiving changes. No administrator is then necessary. 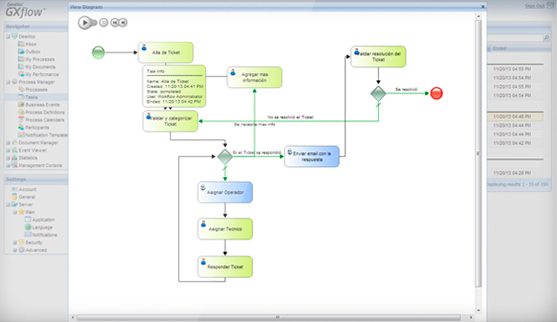 development with our Business Process Management and Optimization Suite.